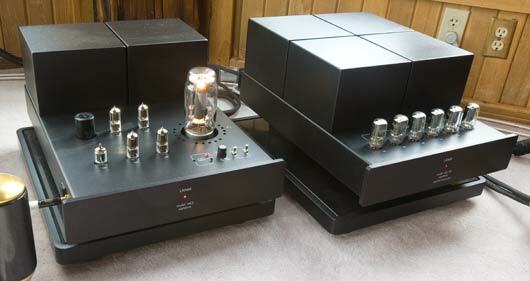 Review of Mike Fremer’s review of the Lamm ML3 Signature amplifiers. But when I saw that Mr. Fremer was doing the review on a system I am somewhat familiar with, I couldn’t resist reading it. Although it was indeed one of those cautiously but really positive reviews, as expected, other things said in the review resulted in the urge to provide a different, more tube-friendly, many might even say a more listener friendly, perspective. This review review is not meant to be a dig at Mr. Fremer in any way. I think he is the best reviewer we got and he seems to be able to hear things and describe them well and honestly. This review review does, however, take exception to the solid-state bias, the over reliance on measurements as a determinant of overall quality [even though in this case the ML3 measures quite well], and the general trend in the industry these days of homogenizing descriptions [whether parsimonious or excessively over-hyped] of good and exceptional gear. This review review also seems to have been used as an opportunity for yours truly to [it seems to me unwittingly, yet at length] ramble on about several only peripherally related things to do with the industry, system setup, and the High-end Audio Golden Age which it is argued herein we are in the midst of – so, you know, maybe we should be enjoying it more. I decided to post this whole thing here on Audio Federation, instead of Ultimist. In four parts. Ultimist represents all aspects of audiophiledom – supplying a level playing field for all brands of high-end audio gear. On my blog over there I try to provide hopefully fun and useful bits for average everyday audiophile consumption [not sure I have quite ‘found my voice’ over there yet. But I am hanging in there… :-)]. But until Ultimist takes off [and it is currently under-going an 15X upgrade, being currently too busy (slow) for members right now. So please stand by…] I am going to start posting the usual wild and crazy stuff here again – stuff on the state of the art and what the state of the art means to the industry and to all audiophiles interested in those Ultimate Listening Experiences. This is a review of the review by Michael Fremer of the Lamm ML3 Signature amplifiers, hidden away in the September 2013 Stereophile. In the following review review, I am going to refer to Mike Fremer as Mr. Fremer in this review. Many people refer to him as ‘Mikey’ but I have found, when using ‘Mikey’ when talking to a random assortment of industry people, that they feel this shows a lack of respect for him, that it is belittling or something, as opposed to being an affectionate term for him, which is how we all mean it [or, at least, that is how we mean it]. And I can’t call him just ‘Mike’ because, you know, like, *I* am Mike. Ergo: Mr. Fremer. Links: Some notes about our impressions of the ML3. Some photos Lamm ML3 photos, our impressions of the Wilson Alexandria X2 speakers, and our impressions of the almost exact same system as reviewed by Mr. Fremer: Lamm ML3 on Wilson Alexandria XLF speakers (some differences are that our system was completely outfitted with HRS racks and platforms and it had a different source: a Basis turntable instead of the Continuum). This seems to be an extremely positive review on the one hand – and on the other a prejudiced [and unfair and unbalanced, like most prejudices are] indictment of all tube gear, implicitly labeling the ML3 as the best of a bad (fatally flawed) bunch. In my opinion the ML3 is a breakthrough product and not just another slightly better statement product with an exorbitant price tag. But lets talk about statement products for a bit. The politics of the last 30 years have resulted in a small number of people becoming extremely rich. This has resulted in the increasing validity of a business model that has small high-end audio businesses selling just a very few, but extremely expensive, products per year. So the ‘statement product’ boom is born. But the problem with being too cynical about this is that these products ARE actually better than everything else in a brand’s product line. And in fact, they are often quite good on a competitive and historical basis. So people can complain about reviewers loving each new yet ever more expensive thing they review – but in the vast majority of cases these outrageously expensive things are indeed actually quite good. 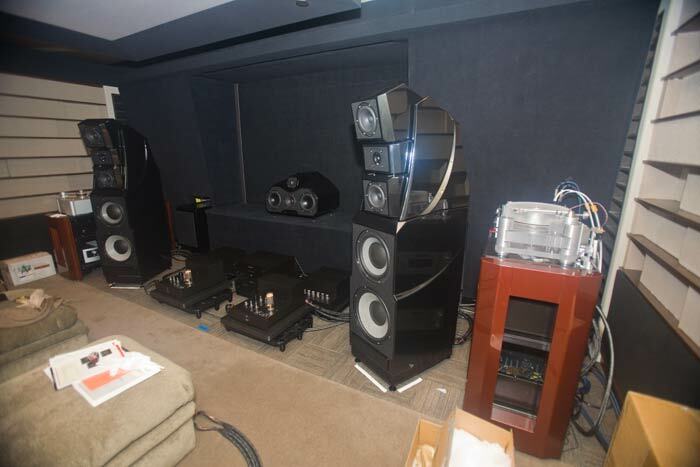 Better to complain about such wonderful gear being wasted on the generally unappreciative rich [are Russian robber barons REALLY that much more into high-end audio than the ordinary guy on the street?]. Or perhaps you might even complain about the growing economic disparities in the world. But people should give reviewers a break… at least in this case; there is plenty of other things to spank their fat listening-chair-shaped behinds about – but I think this isn’t one of those things. With all these statement-level products being created for the 1%, this is a kind of golden age for high-end audio research. Manufacturers get to try all sorts of what was before prohibitively expensive and/or laborious approaches to getting the most from their designs. This was epitomized for me a few years ago when I heard a new statement level amp from a popular tube amp manufacturer at CES. It was an expensive [for them!] tube amp at something like $10K. They are known for inexpensive, and to my ears very congested and dull sounding, tube amps. But this new amp, which was apparently not built to a price point [or to a more relaxed one in any case] actually sounded quite excellent. I interpreted this to mean that manufacturers not known for their excellence can indeed make excellent products when some of their constraints are relaxed [and, you know, choices made decades ago about HOW to build to a price point really should be revisited periodically. Yes this is harder than designing and building a statement product [and not as much fun!]. Not as hard as making a breakthrough product though :-)]. There are also many new high-end audio companies – started by people with expert skills who have nowhere else to go; having been laid off because of the Great Recession, rampant ageism, and/or replaced by cheap-skill-challenged wage slaves because they look better in the bean counter comic-books. We can eventually expect some great things from some of these new companies, I think. To my mind, a break-through product usually has a new, very simple, very obvious [once you see it!] design. It is typically not just a successive refinement of a previous statement product. Like other industries [software and auto come to mind] the breakthrough product is not always successful in the marketplace – but it does often cause a shift in the industry [although our industry is strangely pig-headed, so we will see]. The problem is that a lot of these reviews of spectacular, and sometimes breakthrough, gear just do not seem to identify the actual character of the gear and what makes it spectacular. In fact, it appears that many just do not or cannot understand what they are reviewing. They really ignore what makes it unique and what makes it great. They are just doing things as they always did – going through the motions – in some ways buying into their detractors case that everything sounds the same with just slight refinements here and there or with perhaps a different flavor thrown in once in awhile. This makes the reviews just a mass of sad, boring, worthless bytes wasting everyone’s time and energy. There is a revolution going on [many in fact…] and they [journalists] are sleep-walking during one of the most exciting times in [audiophile] history. It does seem that one of the problems of Golden Ages is recognizing when you are living in one. BEFORE they are over, I mean. And they DO end. It is like we are reviewing things in some kind of commoditized supermarket, pulling something off a shelf, measuring it, weighing it, figuring out its color and what the ingredients are, and then declaring its value to the reader to be the asking price. Next. This method purposely minimizes the difference between the GREAT things and the things that, you know, are kinda average. That great thing, the Mona Lisa say, is, by golly look at that: using an inferior paint and that flea market item is using really high quality framing using reclaimed mahogany from a now extinct rain forest. This works well for a magazine [or website] who needs to present a level playing field to the industry, but it does a disservice to those who want to, you know, enjoy the Golden Age before it is, you know, like… over? OK. So on to Mr. Fremer’s review of the ML3. Good that we can start out the review review with something that we can agree with: the gulf is indeed narrowing between high-quality tube amplifiers and high-quality solid-state amplifiers. OK. Whew! Got that over with. Now to the rest of the review. “having my pants pulled down in front of a large crowd of people”. First [no, we are not going THERE! ], it should be JA who should feel embarrassed, and pantless, not Mr. Fremer. JA’s measurements are just not reflecting the qualities that an experienced listener is able to hear. Mr. Fremer should have the courage of his ear’s convictions – he hears what he hears. And in reality, even JA should not feel too embarrassed [pull those pants back up! ], he does quite well given his limited resources and funds [same thing these days] to explore new ways to measure things. However, we are relying almost completely on 50+ year old models of what the important things are to measure and how much [little] each of these affect listener suspension of disbelief and enjoyment. Remember: if reality does not fit the model, change the model, don’t deny reality. Vladimir Lamm was a Soviet scientist but not of the rocket variety, contrary to what was reported in the review. In JA’s technical section of the review, it is incorrectly stated that the ML3 is not inverting, whereas they in fact ARE inverting [as is the Lamm LL1 (ne: L3) preamp designed to go with it – their inversions cancelling each other out when used as a pair in a system]. I know this is nit-picking, and it is a common heuristic used by a lot of people but it really makes little sense, and not just in high-end audio land. I think all one really [should] care about is the ultimate performance and utility of something. Neli says she doesn’t care if there are a bunch of hamsters on a wheel in the thing, as long as it sounds good. Do you really care about how many resistors are in a Mercedes? 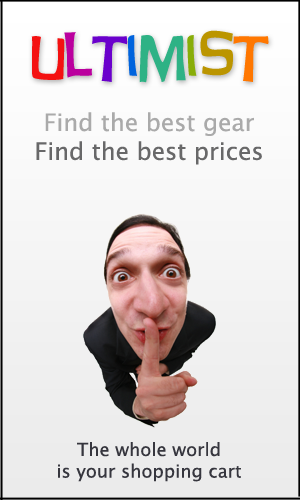 Mentioning the relatively high price every paragraph or two is a little… bizarre? They are expensive but so are the speakers, the rack, and as they should be, the cables. The number of amps at this price range has been growing steadily for many years: WAVAC, Audio Power Labs, Audio Note, …most tube amp brands have a statement amp in this price range, as well as solid-state amps: Soulution, Kharma, etc. As for the voltmeter, and whether or not it should come with the amps… Some people do indeed want the voltmeter to just ‘come with the amps’, and we can provide them one free of charge. However most are delighted as heck to have an excuse for buying (online for $300 or so), what is one of the classic boy toys of all time. And then to have a valid reason for periodically actually getting to use it? How awesome is that! Many years ago, an audiophile friend bought a Levinson phono stage based on the high parts count and circuit complexity. Unfortunately, when he later compared it to a John Curl Vendetta 2B which had few parts, all of which were hand selected and matched, the Vendetta left the more complex unit in the dust by a rather large margin. While my failing memory makes me uncertain about the author of the quote, I believe Peter at Audio Note once said, enough parts to accomplish the task but no more. If not, he should have said it as his top of the line products certainly follow that logic. I can assure everyone, however, that only the best, most rare puppy poop is used, the components of which are hermetically sealed in odorless plastic and metallic and completely mimic ordinary capacitors and resistors. Which is just to say that we agree as well. That most do not know what is really inside all this gear out there, much less what [poop] is inside the [poop] components inside the [poopy] gear – and so it is indeed best to just pay attention to the performance of the gear and leave the technical details of the internals to the electrons to try and figure out [which I can assure you is quite complex and few in anyone in the high-end audio industry, or even the world at the present time, understands what is really, REALLY going on]. Two subsequent thoughts, 1) you fail to mention the Audio Note Ga-kuon which I would guess is different from the ML-3 but a benchmark in its own way; and 2) you fail to mention which solid state amps are beginning to approach the virtues of a good tube amplifier (here I assume that you may be thinking about the new EMM Labs amps. This sequence of 4 posts did inspire the creation of another couple of posts on Breakthrough products, which did include the Audio Note Gaku-on as well as the Lamm ML3. It is not linked to as a featured post – I’ll have to review it to see if it deserves a link placed there. There certainly are a lot of solid-state amps TRYING to sound like tube amplifiers – by smoothing out their sound, but in so doing removing almost all micro-dynamics and resolution. Some of these sell for quite a bit of money. We’ve only heard the Emm Labs MTRX amps on the nice but hardly world-class Sony SSAR1 speakers. They these control with an ability that only the Gaku-on may be able to match, much better than their comparatively sloppy solid-state amp brethren that we’ve heard to date.